The lineup features elite members of the dance music avant-garde and an arsenal of pioneering local talent. Headliners include Sandwell District's gender-tweaked techno shaman RROSE, whose propulsive live performances crackle like an electrical storm off dark waters. There will be an extended DJ set from psychedelic and sensual house dancer-turned-producer JOEY ANDERSON, recently lauded for his immaculately bent album After Forever on Dekmantel. 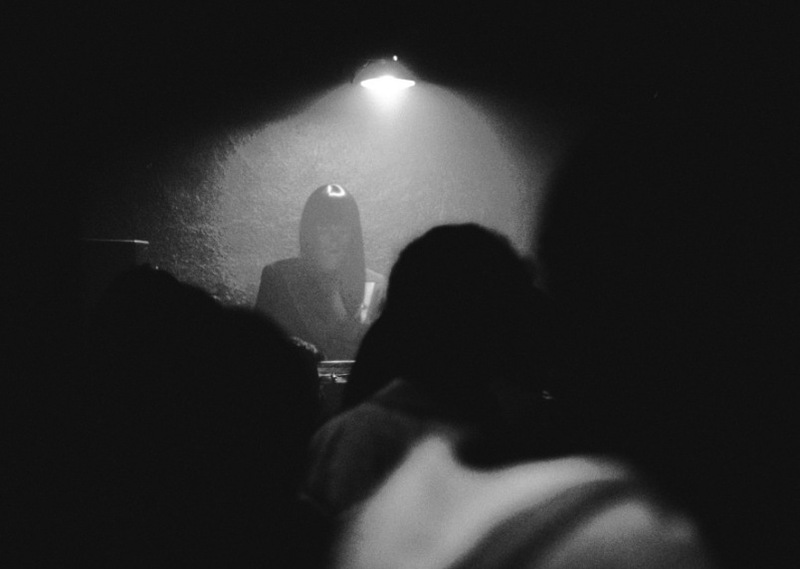 Berlin-based, California-raised XOSAR, a favorite of L.I.E.S, Crème and Rush Hour, will play one of her sparkling hardware sets full of mysterious, aqueous melodies. Ascending Detroit producer MGUN comes fresh off releases for Kyle Hall’s Wild Oats, London’s Trilogy Tapes imprints and performances with Underground Resistance. A live journey from RVNG's BLONDES promises to be full of peaks & valleys with the woozy dynamic of unyielding euphoria, and MORGAN LOUIS reveals why his unhinged techno sets inspired the renegade White Material crew. The festival will also feature a pool party led by charismatic Underground Quality label boss JUS-ED, who has played a key role in the tri-state area’s genuine deep house movement over the last decade, as well as slurred house auteur HUERCO S. and his crate-digging label boss Mondo at FUTURE TIMES. Live hardware performances include ITAL, whose upcoming album on Planet Mu promises to take us further down the rabbit hole of vertigo-inducing dance excursions, DC's sun-dappled duo PROTECT-U, who released their debut album Free USA this past May, and feral L.I.E.S. affiliate PERSON OF INTEREST. Also joining live is DUST, the acid-drenched art collective that includes Bossa Nova Civic Club's founder John Barclay, and Opal Tapes star PATRICIA. Sustain-Release welcomes a 6-hour THE BUNKER NEW YORK SHOWCASE featuring four of their key artists and residents. The beloved party series has shaped the NY landscape by presenting a stunning array of celebrated techno & house greats from around the world, and now after a decade they've launched a label. Founder BRYAN KASENIC will DJ alongside MIKE SERVITO, famous for his undeniably jacking sunrise sets. Haunting techno producer CLAY WILSON and recently-signed kosmische experimentalists FORMA perform live. DJ sets go late in the night with rising dark techno imprint FIFTH WALL founders Houndscales & Divvorce going head to head, as well as Brooklyn's best kept secret ANTENES (modular synth queen Lori Napoleon), and AURORA HALAL, whose recent debut on Mutual Dreaming Recordings is a shadowy transmission of headspinning plasmoid techno. Upcoming artist JORDAN, with releases on Fred P.'s Soul People Music and a new collaboration with Tin Man joins along with ALGO RHYTHM (A. Arias and JM De Frias of the Sequencias label), Body Actualized's JAN WOO, and Bossa Nova residents ANALOG SOUL. Years in the making, Sustain-Release is the collaboration between Aurora Halal, artist, musician & creator of Brooklyn's Mutual Dreaming parties, and longtime music writer, promoter, and employee of halcyon, NTS & Underground Quality, Zara Wladawsky. Influenced by formative experiences at various UK camping festivals like Freerotation and private parties in the woods, Sustain-Release brings together some of the most fascinating, cutting-edge artists of our time to play uncompromising sets in a bucolic natural environment two hours north of NYC. The first edition will commence Friday September 12th and end at dawn on Sunday, September 14th at Camp Lakota, a 500-capacity summer camp nestled among the Catskills Mountains in Wurtsboro, NY. Both indoor stages will be equipped with boutique sound from Tsunami Bass and immersive lighting installations by NITEMIND (ex-lighting director of Club Shade & Steel Drums). Local partners include Brooklyn's innovative underground venue Bossa Nova Civic Club. Tickets are limited to 495, and are currently priced at $115. Reservations of a whole cabin to share with friends are available for groups of 12-24. There's parking on site, or visitors can take a shuttle bus from New York City provided at an additional low cost. Detroit, The Bunker, Ghostly Intl. 8:30PM BONFIRE AT THE LAKE! Camp Lakota: Doug Katz, Michael Childs etc. Artist Relations: Lesly Remy Jr.
Sound by Tsunami Bass: Zoe Shizaru, Andrew Eisele, Andy Kemp & co.